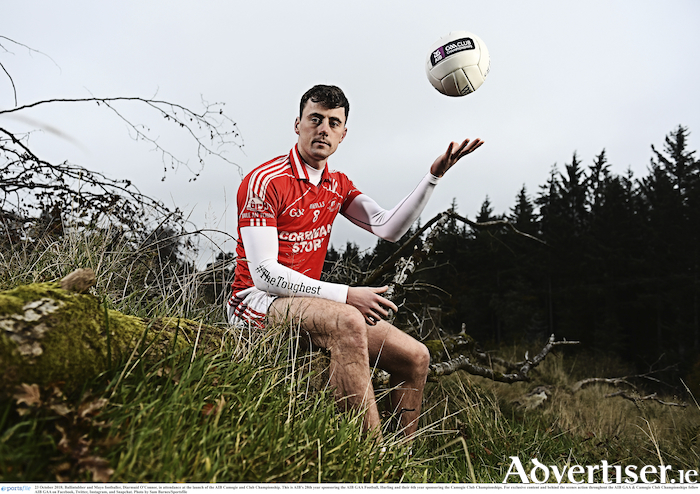 Ready for the next step: Diarmuid O'Connor is ready to lead Ballintubber into provincial championship action on Sunday. Photo: Sportsfile. After claiming the Mayo senior title for the fourth time in eight years, Ballintubber look to be very well equipped for a serious crack at claiming the Shane McGettigan cup for the first time. But they have been given a tricky path towards achieving that objective, starting on Sunday in Enniscrone, when they enter the competition at the quarter-final stage against Sligo champions, Tourlestrane. If they get over that game they will face the Leitrim champions, Aughawillan, in Carrick-on-Shannon in the semi-final seven days later, before a final against the winners of the meeting of Roscommon champions, Clann na nGael and the winners of this weekend's Galway senior final replay, between Corofin and Mountbellew/Moylough. Tourlestrane were beaten at the semi-final stage of the competition last year by Castlebar Mitchels and showed they were no pushovers, hanging in there with Mitchels for 50 odd minutes, before a Danny Kirby goal gave Mitchels the kick they needed to drive on to victory. In the Sligo championship they claimed back-to-back victories a few weeks ago with a 1-12 to 0-8 win over Tubbercurry, with Liam Gaughan their top scorer, kicking five points - and Cian Surlis bagging the goal for them. Other players Ballintubber will have to watch out for are Cathal Henry in the Sligo champions half-forward line and Adrian McIntyre - while former Mayo player Pat Harte is still putting in the hard yards for his adoptive club. Ballintubber will come into Sunday's game on the back of two weeks' rest, after going hell for leather three weeks in a row in their successful assault on the Mayo title, which saw them having to go two full rounds with extra time against Castlebar Mitchels, before being put to the pin of their collars by Breaffy in the final - with a late Diarmuid O'Connor point the difference between the sides in that one. On paper, Ballintubber look to have the goods to get over this one and really go for the provincial title, with the aforementioned O'Connor playing some stunning football in recent weeks and big brother Cillian racking up big scores from placed balls and from play in the latter stages of the Mayo championship. The experienced heads of Alan Dillon and Jason Gibbons proved vital in the closing stages of those wins over Mitchels and Breaffy. They also have a number of young players like Ciaran Gavin, Steven O'Malley and Michael Plunkett, who have all stepped up to the occasion in recent weeks when needed by Kevin Johnson's side. The Sligo champions will make it tough for the 'Tubber but they have the players and the wherewithal to make sure they are still playing football next weekend - and even further beyond that as winter takes hold.